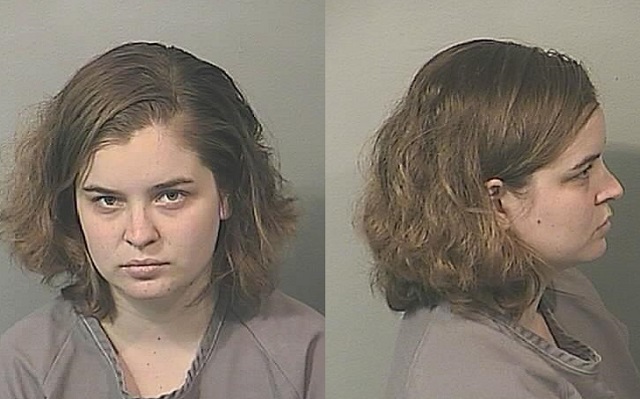 MERRITT ISLAND, Florida -- Brevard County Sheriff’s Agents arrested 19-year-old Victoria Constance Bennett, of 421 Moore Park Lane, Unit A, Merritt Island, for Aggravated Child Abuse. She is currently being held at the Brevard County Detention Center on a No Bond status. The investigation was initiated after an unresponsive 11-month-old child was brought to the Cape Canaveral Hospital in Cocoa Beach, Florida by the suspect and her husband on Friday, January 3, 2014. After a preliminary examination, the child was transferred to Arnold Palmer Hospital in Orlando, Florida. According to BCSO, tests there determined that the child had suffered a traumatic brain injury resulting in seizures and partial paralysis. Investigator say the diagnosis was consistent with injuries caused by Shaken Baby Syndrome. It is believed by authorities that the medical effects of the injury are permanent; however, the long term prognosis is not known at this time. Investigators determined that Bennettt violently shook the baby after becoming frustrated when the child would not eat or stop crying.